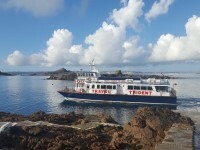 The Herm Trident Ferry sails daily from the St Peter Port Harbour. 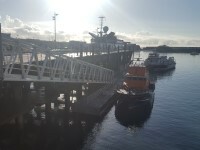 It usually leaves from 'Cambridge Steps' but can also depart from either the 'Weighbridge' or 'Inter-Island Quay' depending on the height of the tide. 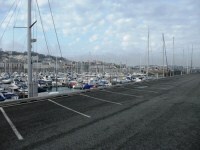 The car park detailed is located on the East Arm of the harbour. 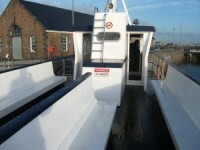 It is for the use of ferry passengers only. 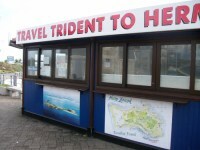 A ticket can be obtained from the Trident kiosk. Alternative parking with time restrictions is available in the North Beach public car park. The reception desk is 400m (437yd) from the Cambridge Steps. 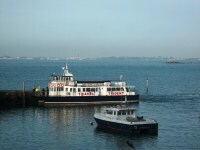 Tickets can also be purchased on the ferry. 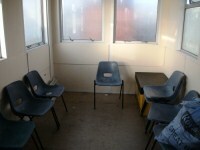 You are on Outside Access (Waiting Room Entrance). Skip to the next section. This information is for the entrance located at the Cambridge Steps Departure Point. You are on Level Change (Waiting Room Entrance). Skip to the next section. Only the first step is clearly marked. You are on Inside Access (Waiting Room). Skip to the next section. You are on Gate 15. Skip to the next section. 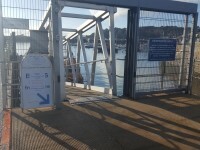 Gate 15 is located along St Julians Pier. 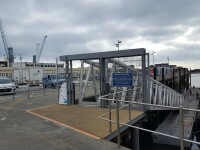 There is a ramp leading down to the Jetty. 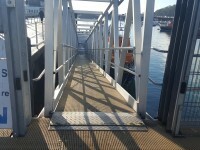 The gradient of the ramp varies depending on the tide. There are grab rails available on both sides. 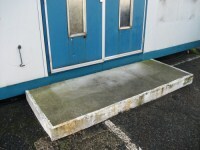 There is step free access from the bottom of the ramp to the boarding point onto the ferry. 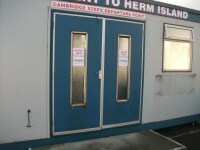 You are on Outside Access (Ferry Entrance). Skip to the next section. This information is for the entrance located at the front of the ferry. You are on Level Change (Ferry Entrance). Skip to the next section. The steps are located in the doorway. 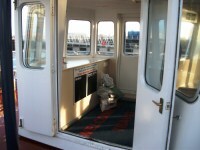 You are on Inside Access (Ferry). Skip to the next section. 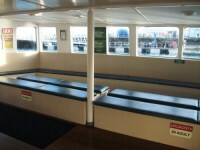 There is fixed bench seating on both decks. 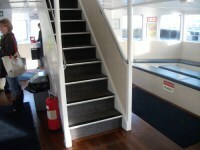 The floors which are accessible by stairs are Lower Deck - Upper Deck. There are 10 steps between floors. 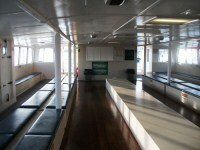 The services on the floors which are not accessible are the open upper deck. 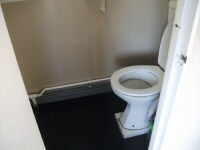 The female and male toilets are located at the rear of the lower deck. 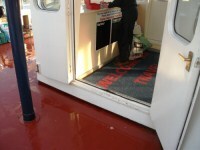 The female and male toilets are 18m (20yd) from the ferry entrance. 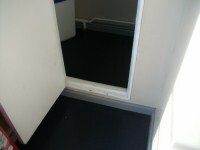 The steps are located in the toilet doorways.